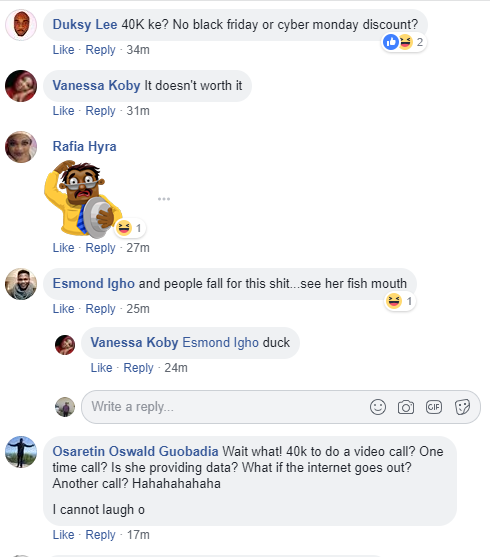 A young Nigerian lady is being trolled online after charging her ‘fans and followers’ N40,000 for a Whatsapp video call. 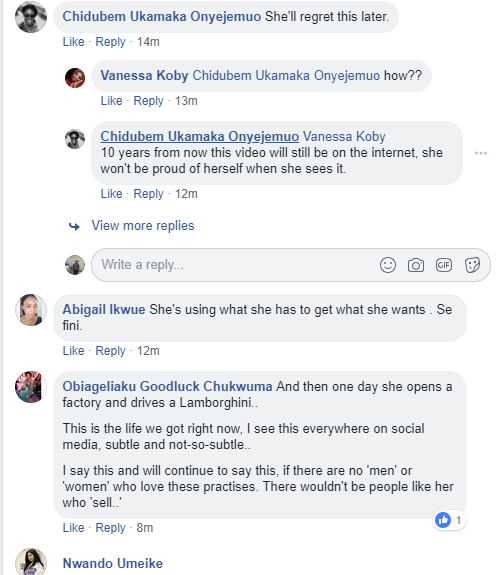 The pretty lady who exposed her cleavage in a video posted online to announce the offer claimed that various people have been asking her for a call on Whatsapp and those interested should pay the sum of N40,000. She said after confirming the payment, the person will be allowed to call her for the “intimate” phone session where he can do whatever he likes. The young lady also revealed that the N40K payment will be for only ONE video call.